There are many stories coming out of Hurricane Sandy, the monstrous storm that hit the East Coast last week. One very touching story that comes to mind is the evacuation of New York University’s Langone Medical Center in New York City. As the super storm crashed ashore, the power went out at the Medical Center and as if that wasn’t bad enough then the back-up generator failed as gallons of water flooded the basement. As the hospital went dark and essential life saving equipment stopped working, staff worked quickly but safely to evacuate their 300 patients. In the Neonatal Intensive Care Unit some of the infants weighed less than two pounds. These babies required constant care as the nurses struggled to keep them alive. Four babies could not breathe on their own, so initially received oxygen from battery powered respirators. I’m sure everyone has seen the images by now when they brought out the most critical baby. He just had abdominal surgery the day before, plus a cardiac defect, so was the first to be evacuated. The sense of urgency in this horrible situation when caring for an eight hour old infant is really hard to conceive. The nurses did not panic, but functioned as professionals, staying calm. There were seven nurses and six doctors that managed to wrap these twenty babies in blankets and heating pads, while pumping air into their lungs as they slowly descended the dark stairway. If that’s not a story that brings a tear to your eye then I don’t know what would. This is what being a nurse is all about, working as a team for the greater health of the patient. You love your job; you do what you have to do to help your patients in time of need, no matter what is going around you. Everyone’s quick decision making, teamwork and dedication to their patient helped in what could have made what was a major disaster much worse end up being one of the truly remarkable stories coming out of this storm. There is a lesson to be learned from Hurricane Sandy and maybe this would be a good time to think about what you would do in this type of situation. Whether you are a student nurse or an alumni it’s always good to make sure you as well as you place of employment have back up plans in place if an event like this were to happen. Has this heroic story touched you? Do you feel your calling is to be a nurse? 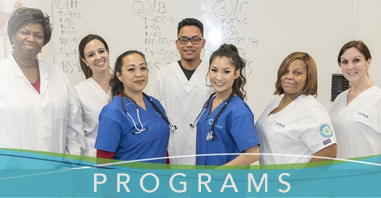 Unitek College offers Training in Vocational Nursing (LVN), Registered Nursing (LVN to RN), Associate Degree in Nursing (ADN) and Bachelors of Science in Nursing (RN to BSN). 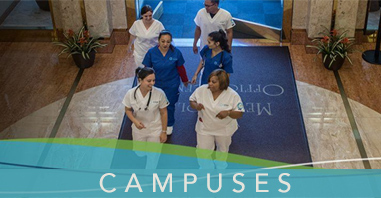 Contact us today at 888-735-4355 to see how you can get started on a very rewarding career as a nurse. * Claudia Roman recalls on 20/20 her effort to evacuate 20 babies from the Neonatal Intensive Care Unit at NY University’s Langone Medical Center. (Source: Heroes Among Us. 20/20. ABC News, New York. 11/2012. Television). * Margot Condon explains to Anderson Cooper her role in the fight against time as she evacuates babies from New York University’s Langone Medical Center NICU. (Source: Anderson Cooper 360º. CNN News, New York. 11/2012. Television).